Carl Icahn and Yahoo have come to a settlement over control of Yahoo’s board. 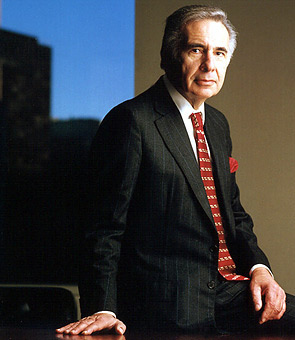 In return for three board seats, Icahn has agreed to withdraw his alternative slate of nominees and back down from a full-fledged proxy war. Icahn will be given a seat on the board, existing board member Robert Kotick (CEO of Activision) will step down, and the board will be expanded to 11 members from the current ten. The two resulting empty seats will be determined by vote, filled from Icahn’s alternate slate of directors and giving him three seats on the new board. Former AOL CEO Jonathan Miller will also be eligible to take one of the empty seats, and likely will. This outcome is probably the best that Icahn could have hoped for. Icahn overplayed his hand by trying to negotiate directly with Microsoft before he had enough authority to do so (he owns five percent of Yahoo’s shares). The result was a three-way negotiation between Icahn, Microsoft, and Yahoo that resembled a game of Telephone, with mixed messages flying everywhere. Microsoft ended up distancing itself from Icahn, and other large institutional shareholders like Legg Mason’s Bill Miller decided that ganging up with Icahn would be a bad idea. And Yahoo began soliciting votes for its current board members on its homepage. It appears that realized he couldn’t win the proxy fight, and took the opportunity to grab a portion of the board. While other activists would have liked to see Icahn take four seats, three seats still gives him a strong position from which to agitate for change. So we haven’t heard the last from Icahn on the future of Yahoo.